Are you unable to connect your Steam account to your Challengermode? Then follow these 5 steps to make it Public, after you've done these changes it can take 5-10 minutes until you are able to connect your Steam account to Challengermode. 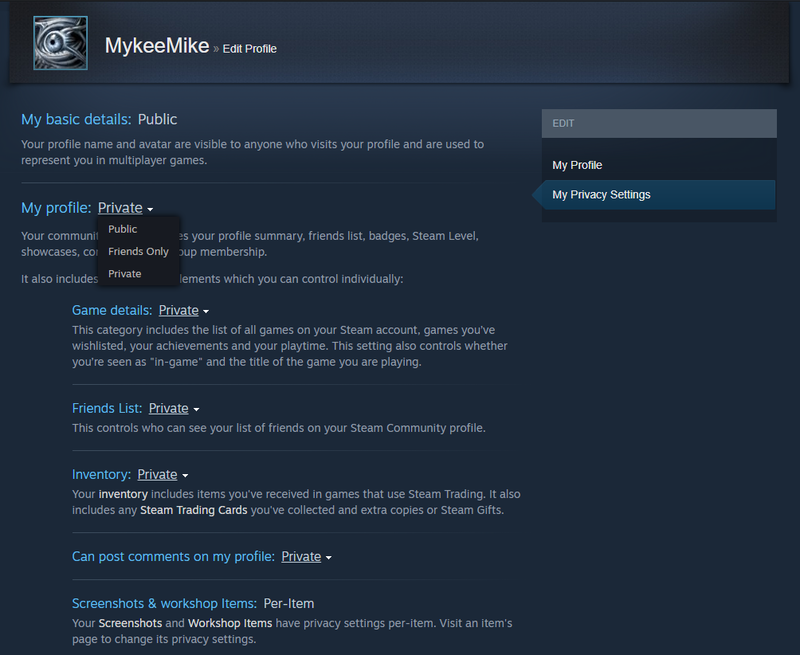 Go to your Steam Profile by clicking your Username at the top of the Steam interface. The Edit Profile button is located on the right side of your Steam Profile, just below your Steam Level. My Privacy Settings is located in the menu on the right side of your Edit Profile page, it's located below My Profile. You can change individual settings for Game details, Friends List, Inventory and adjust what type of users are able to comment on your profile. Make sure all of them are set to Public and not Private nor Friends Only as those two options will prevent you from connecting your Steam Account to your Challengermode account. When you've set all your options to Public it should look as it does on the picture below. Make sure the checker boxes at Always keep my total playtime private even if users can see my game details. and Always keep my Steam Gifts private even if users can see my inventory. are unchecked. If these are checked, you will be unable to link your Steam account to Challengermode. After this you are good to go! Make sure to contact us in the Support chat if you encounter any additional issues.